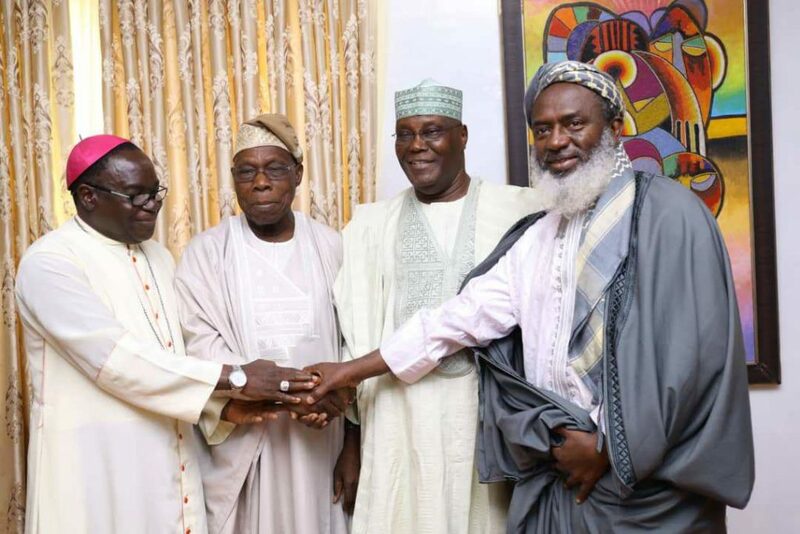 The Presidency late Thursday reacted to former President Olusegun Obasanjo’s endorsement of his former deputy, Atiku Abubakar, as the candidate to beat in the 2019 presidential election, saying the Presidency was least surprised by the development which it called a predictable U-turn and somersault that showed the usual ego trip and “I know it all” character of Chief Obasanjo. “It is just eleven years ago that the former President and Vice President in their ugly fight for power accused each other of corruption. Nigerians are yet to forget all that,” Shehu said. Similarly, President Muhammadu Buhari Campaign Organisation, on Thursday reacted to the endorsement for the PDP Presidential Candidate, as it said the desperation to get the endorsement of Chief Olusegun Obasanjo by the PDP and its candidate is a clear sign that they want to return us to our sordid past where a few people decide who should govern us. Spokesman of the organisation who issued a statement shortly after the announcement, said while Buhari depends on the endorsement of Nigerians, his opponent was relying on the support of those who think they can continue to choose people who will govern Nigeria. “When a person invokes the curse of God upon himself if he does a particular thing, like Obasanjo has done, and then deliberately does that particularly thing and calls on Nigerians to follow him to receive his curse, Nigerians must flee in the opposite direction. We urge Nigerians NOT to follow this character to receive the curse he invoked upon himself,” he explained.